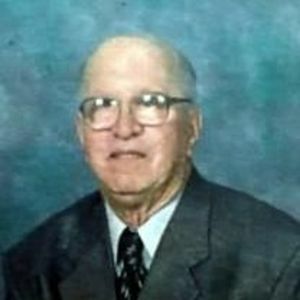 UNION GROVE- Luther E. Campbell, 87, went home to be with the Lord on October 16, 2017 surrounded by his family. Born on July 25, 1930 in Iredell County, he was the son to the late George and Georgia Sharpe Campbell. Luther was proud of his work and retired from Yadkin Valley Telephone Company. He was a loving and caring father and "Papaw". Not only did he love his own family but he and late wife, Ila Mae, had an extended family of foster children. Together they owned and operated their family business, "Family Crafts." He enjoyed crafts, gardening and woodworking. In addition to his parents and his wife he was preceded in death by daughter, Rachel Ila Stadtfeld; two brothers, Hue and Wayne Campbell and four sisters, Martha Snow, Magdalene Ellis, Lessie Williams and Esther Moore. Left to cherish his memory are his children, Luther (Linda) Campbell Jr., Edith (Jimmy) Moose, Carolyn (David) Ellis; son-in-law, Steve Stadtfeld; grandchildren, Angel (John) Buchanan, Michelle (Craig) Bess, Raymond (Tina) Ellis, Michael (Ruth) Moose, Rebecca (David) Wright and Ila (Ted Jackins) Stadtfeld; great-grandchildren, Hunter, Payton, Preston, Kenny, Sarah, Matthew, Jazmyn, Samara, Mason, Noah, Christian, Wyatt, Hannah and Belle; step-grandchildren, Nikki Henderson, Kris Dragon and Misty Smith; sister-in-law, Martha Campbell and many other loving family members. A celebration of life service will be held on Thursday, October 19, 2017 at 3pm in the chapel of Bunch-Johnson Funeral Home with Pastor Josh Byrd officiating. Burial will follow in Oakwood Cemetery. The family will receive friends from 1-3pm at the funeral home prior to the service. Pallbearers will be, Craig, Kenny and Hunter Bess, John and Preston Buchanan, Michael Moose, Raymond Ellis, David Wright, Ted Jackins, Matthew Draughan and Mason Stadtfeld. For those who prefer memorials, may be made to Iredell County Hospice and Palliative Care 2341 Simonton Rd, Statesville, North Carolina 28625. Memories may be left for the family at www.bunchjohnsonfuneralhome.com. Bunch-Johnson Funeral Home is honored to be serving the Campbell Family.